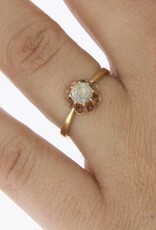 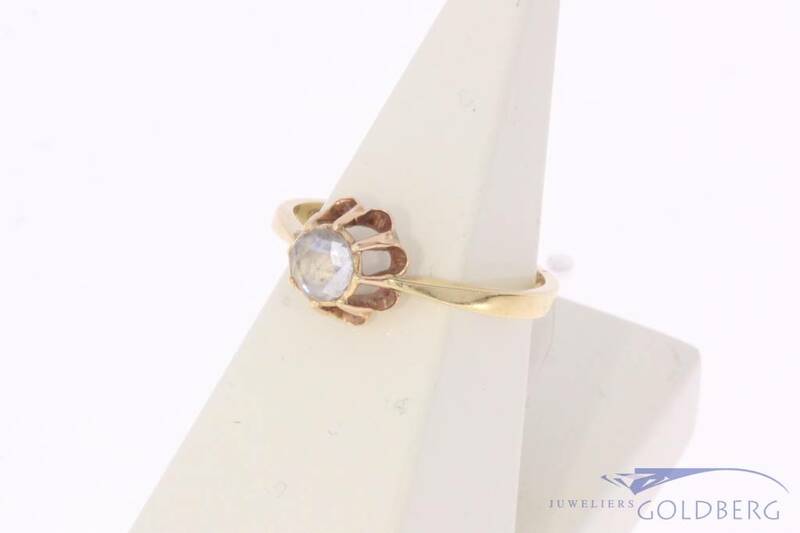 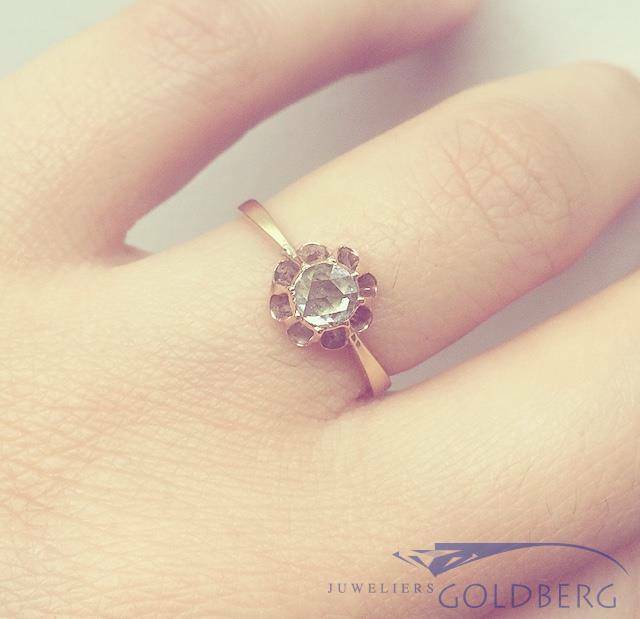 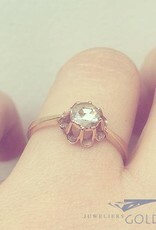 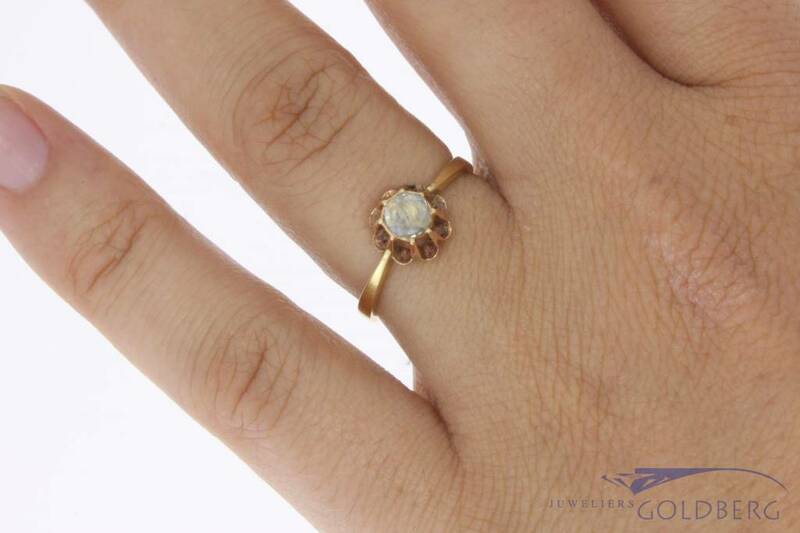 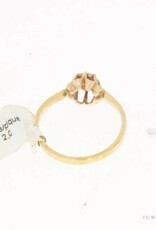 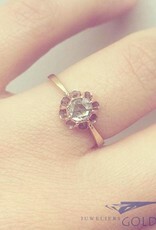 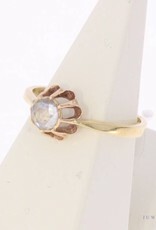 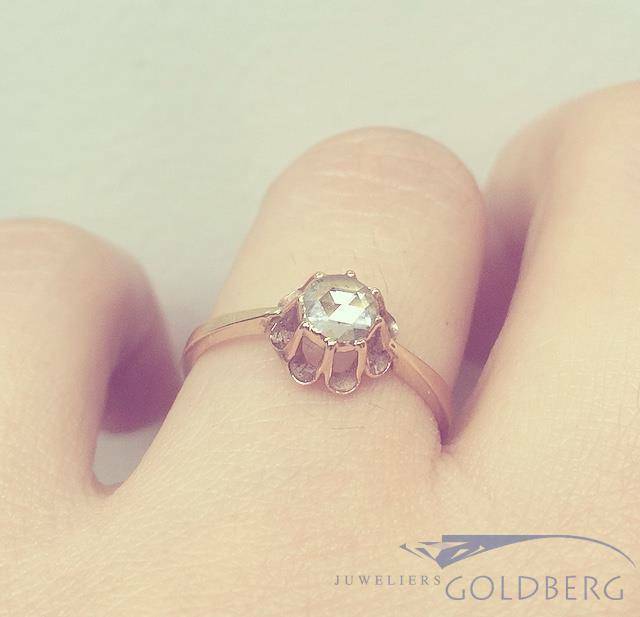 Gorgeous vintage 14 carat gold solitair ring with an approx. 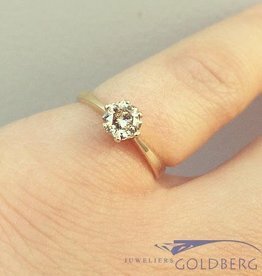 0.35ct rose cut piqué diamond. 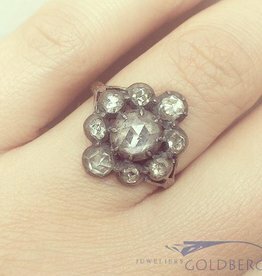 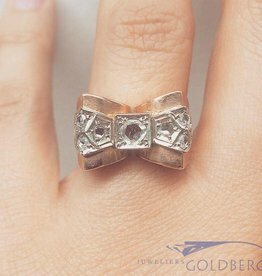 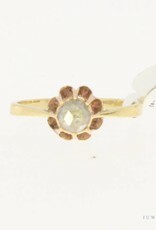 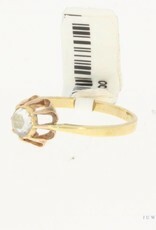 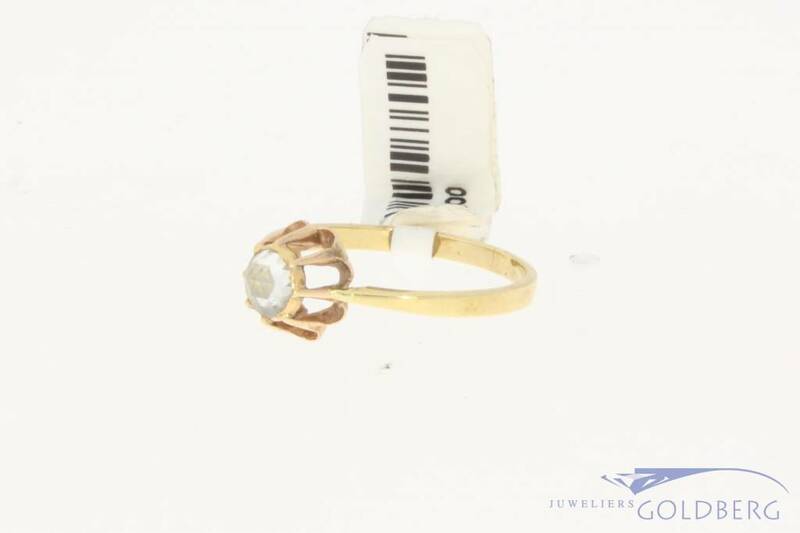 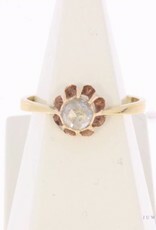 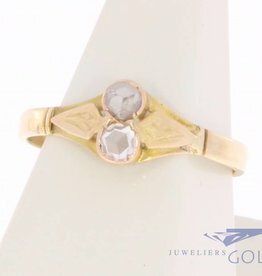 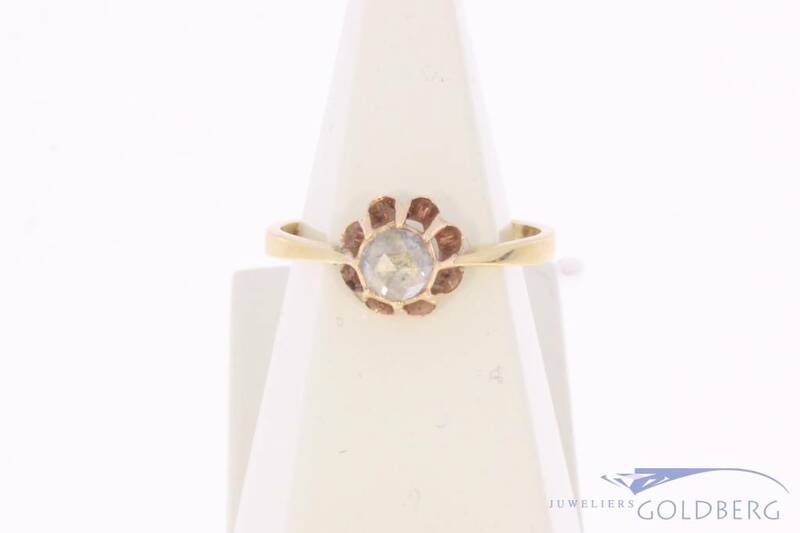 The ring has a modern (after 1953) hallmark and has thus been made at a later date, but the setting and rose cut diamond seems to be older, perhaps even antique. 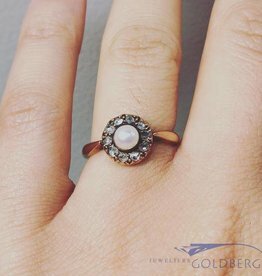 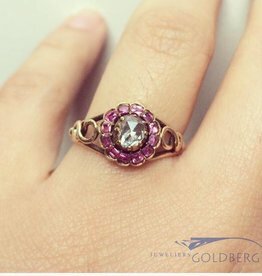 For this reason there is a slight color difference between the ring and the setting : The ring is a bit yellowish in color and the setting has a more rosé-colored hue. 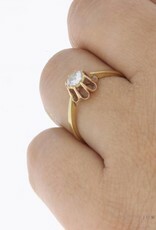 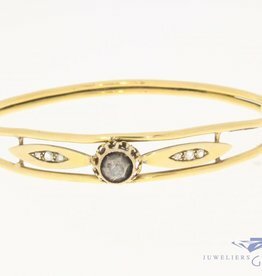 The diameter of the setting and diamond is approx. 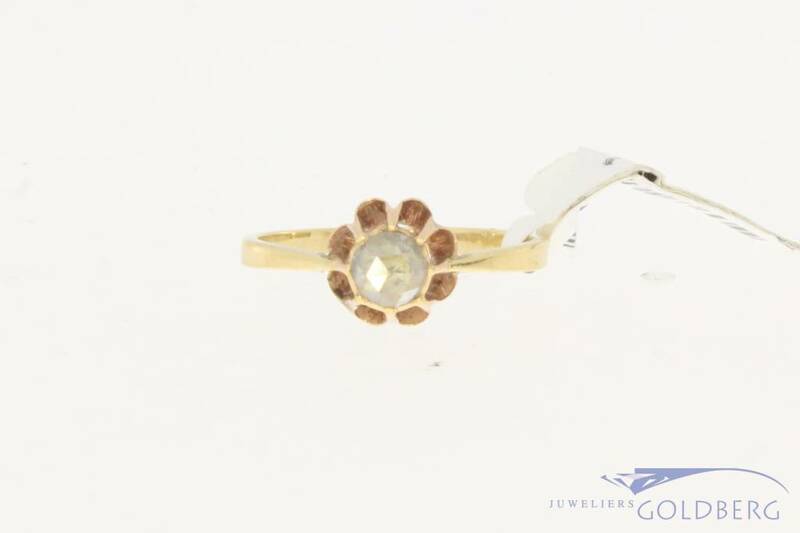 7.80 mm and the height is approx. 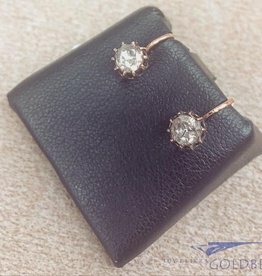 6.02 mm. 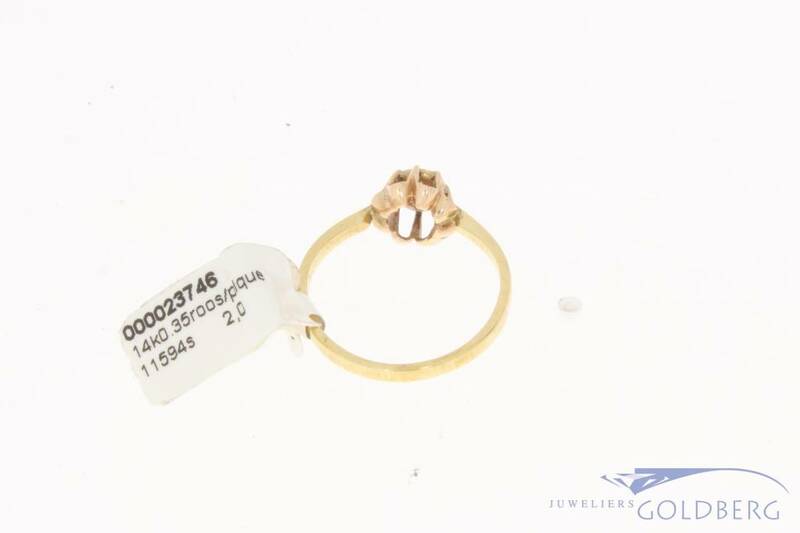 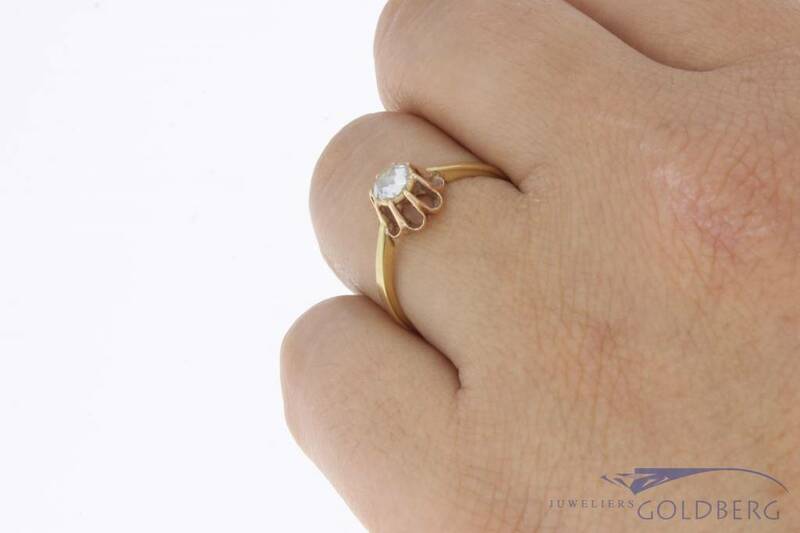 The ring size is 17.50 / 55 and the weight is 2 grams.